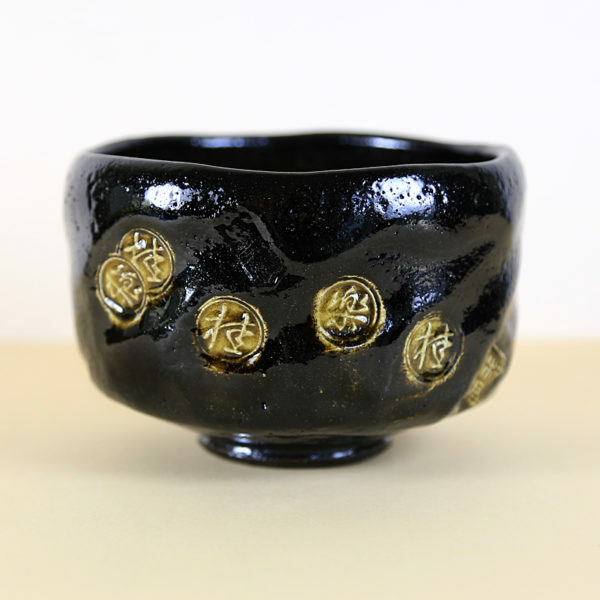 This wonderfully unique black raku tea bowl wears numerous kazuin, stamp marks of the name of the potter. 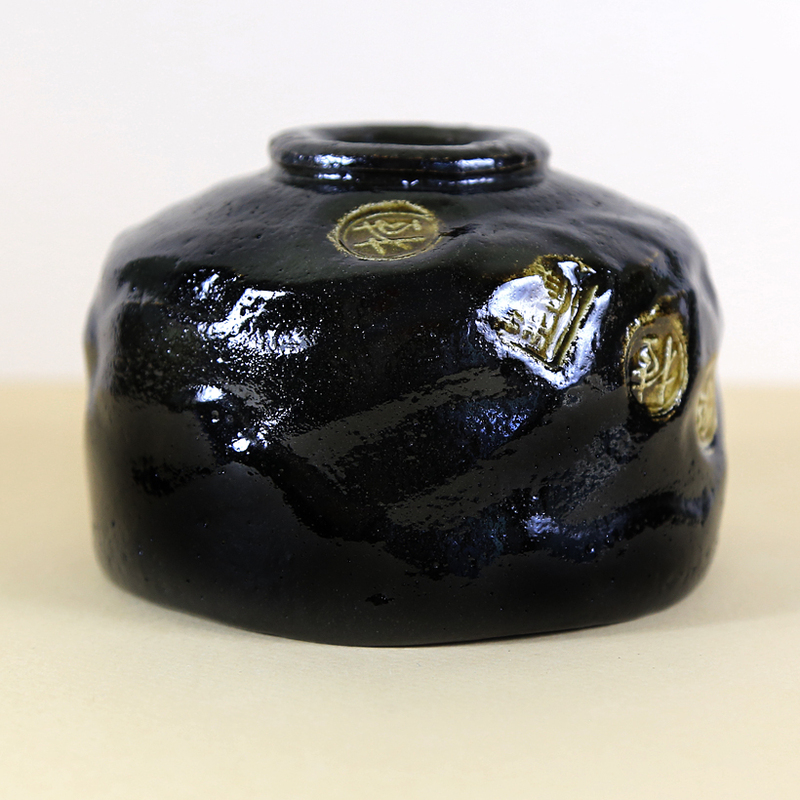 It is also oversized and generously proportioned, which compliments the appealing aesthetic of the stamp marks and their placement scattered across the front of the tea bowl. 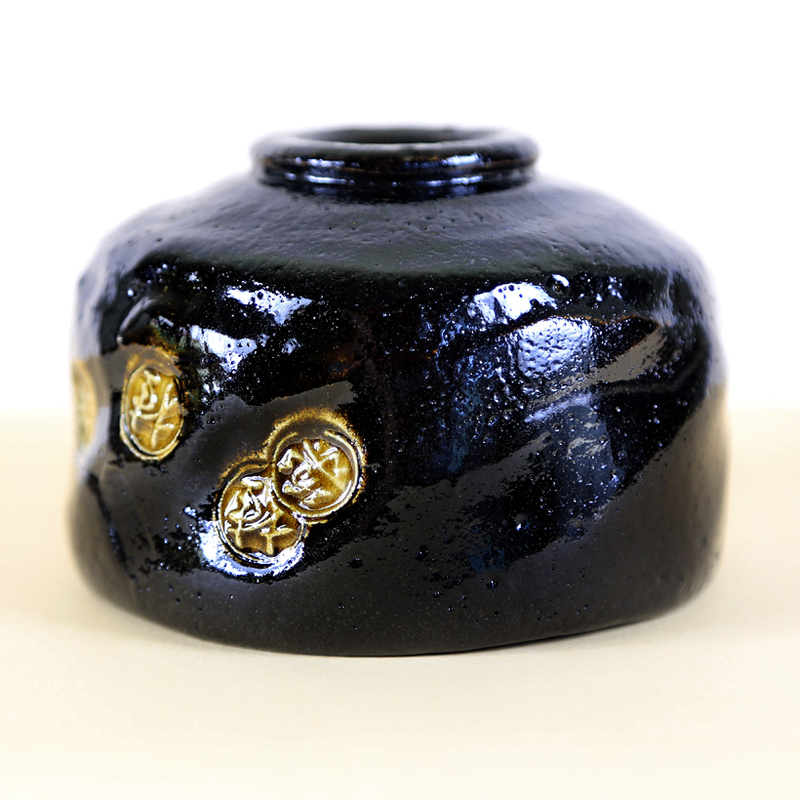 The shiny black glaze harmonizes well with the brown/gold glaze color of the stamp marks. Even though the bowl is oversized, or perhaps because of it, this tea bowl has a confident, warm and humble feeling in the hands.